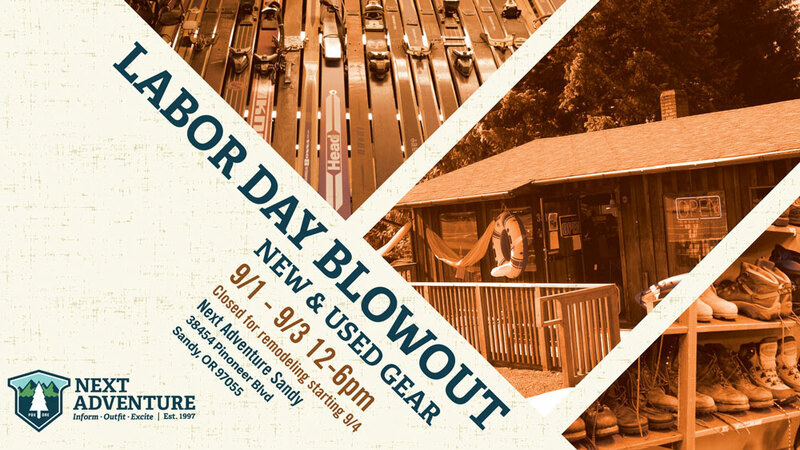 Get ready for the Next Adventure Labor Day Blowout, September 1st through the 3rd from 12pm to 6pm at our location in Sandy, Oregon! Once the sale ends we’ll be closed for remodeling until late October. To get things moving and make room for construction we’re offering screaming deals on new & used gear with savings up to 75% off.